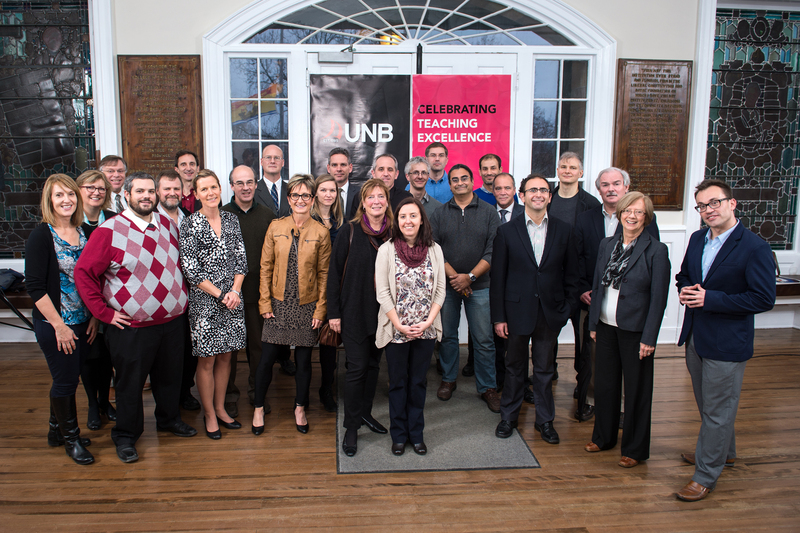 University of New Brunswick honoured 20 of its faculty who won awards this year for teaching excellence. With over 100 in attendance, including senior administration, their colleagues, and members from the community, each of the 20 were recognized, and we caught a glimpse into what factors made them great teachers. Ben Newling, department of physics, was awarded the Alan P. Stuart Award for Excellence in Teaching, University Teaching Scholar and the Faculty of Science Teaching Award. UNB also celebrated Frank Collins, faculty of engineering, who was recognized by a national U.S. organization as an “Outstanding First Year Student Advocate”. A group photo was taken of this year’s award winners, together with those from past years who were in attendance. For more information, contact Natasha Ashfield.